Call 02380 080681 to talk to a specialist about a spinal injury claim in Southampton or Hampshire. Our spinal injury solicitors work on a no win no fee* agreement. Our solicitors represent clients in Southampton and across Hampshire in Portsmouth, Winchester, and Basingstoke. Our team of personal injury solicitors fight for the highest compensation payouts for spinal cord injury victims in Southampton and across the UK, and with years of experience are expertly placed to help you and your family get the justice that you deserve. Making spinal injury claims with Personal Injury Solicitors Southampton is as simple as calling our number today and speaking to a specialist advisor about your circumstances. One of our spinal injury solicitors will then arrange an appointment with you at a location to suit you and your family. How Much Spinal Injury Compensation? 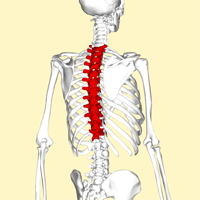 Spinal cord injuries will typically result in high compensation payouts. Spinal injury compensation amounts for SCI will vary from client to client. If you have been the victim of a spinal cord injury and want to know how much compensation or the payouts involved, then in most cases this will be higher than standard personal injury claims due to the seriousness. When our solicitors are working on your spinal injury claim there will be a number of factors taken into account. This includes a payout for the pain and suffering that you have endured plus initial expenses. We will also look at what the future holds for you and your family. For example, are you likely to not be able to earn, and suffer from a loss of wages? In addition to that, the future could mean that you and your family have to pay for private medical care, rehabilitation costs, nursing care, changes to your home and car, and specialist equipment. Because spinal injury claims are by their nature very serious, with long-lasting implications, the claim needs a specialist solicitor with a knowledge of this area. In the UK, spinal injury claim amounts can reach millions of pounds for an individual case. If you call us today we can discuss your circumstances and tell you what next steps you need to take. We work on a no win no fee* basis and offer free phone consultation in advance of any meetings with our spinal injury solicitors. Our spinal injury solicitors are based all around the UK and have helped many families to claim for spinal injury compensation. The experience of our lawyers, coupled with their compassionate attitude means that you will receive a first class service, with the legal steps being explained each and every step of the way.